Check out the Baltimore Sun’s write up about Graham! 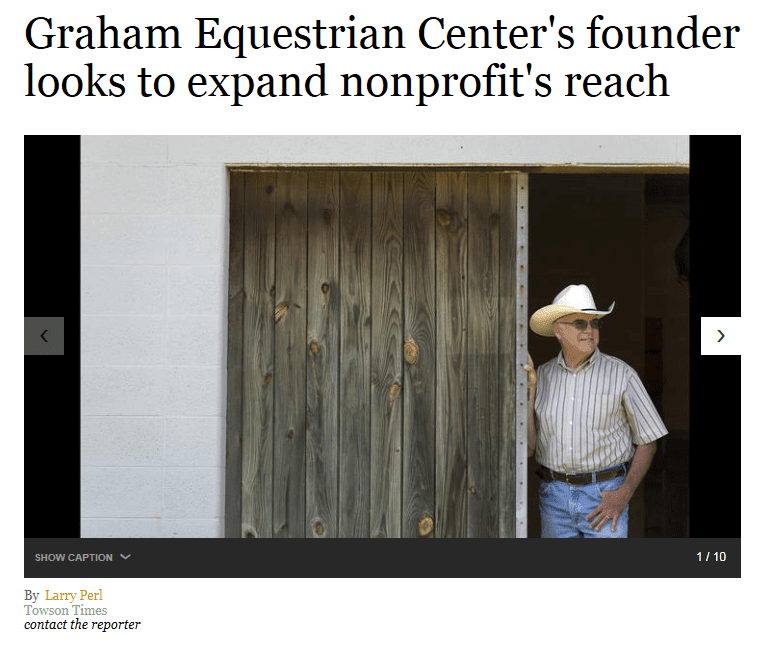 The mission of Graham Equestrian Center is first and foremost to educate! We are always in need of donations both in materials, time and funds. For more outreach and continued education, we are aiming to be able to teach all year around by building an indoor arena. Every little bit counts.